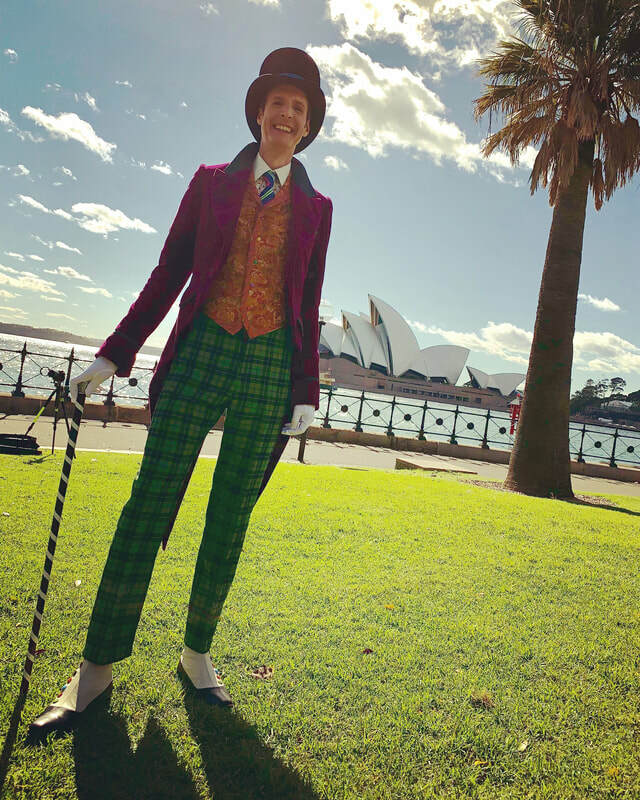 Before rehearsals got under way for the Australian premiere of Charlie and the Chocolate Factory, Paul spent a week in Sydney, happily taking part in publicity for the production. The Daily Telegraph ran a feature on Paul's reaction to being offered the role of Willy Wonka. Who could say no to a chocolate factory and Australia?! "Funny, timely, and - dare we say - entirely possible, The Outsider is a wonderfully crafted, superbly presented show that features a stellar cast." 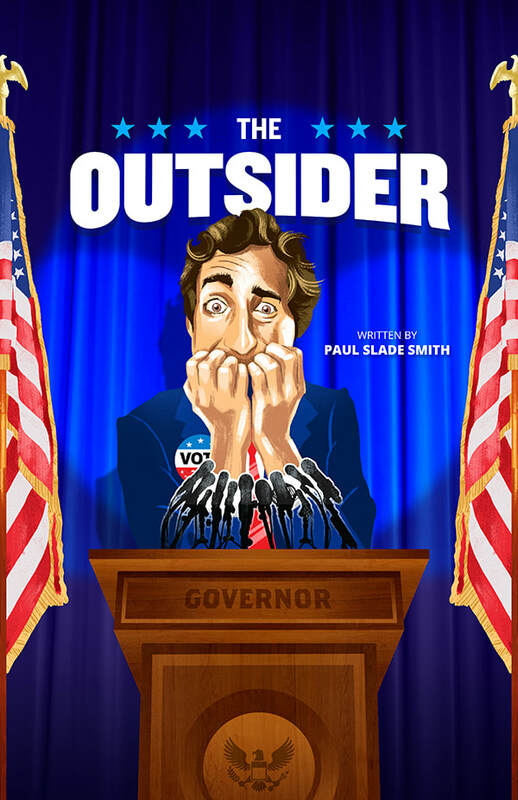 The East Coast premiere of Paul's newest play, The Outsider, was a huge hit with audiences at Paper Mill Playhouse, generating terrific word-of-mouth, and receiving a big stack of beautiful reviews from critics in the New York region. ​You can find the reviews, production photos and more at TheOutsiderPlay.com. January 14th, 2018 marked the closing of Charlie and the Chocolate Factory, and the end of Paul's nearly three year stretch at the Lunt-Fontanne Theatre, where he made his Broadway debut in Finding Neverland on March 15, 2015. 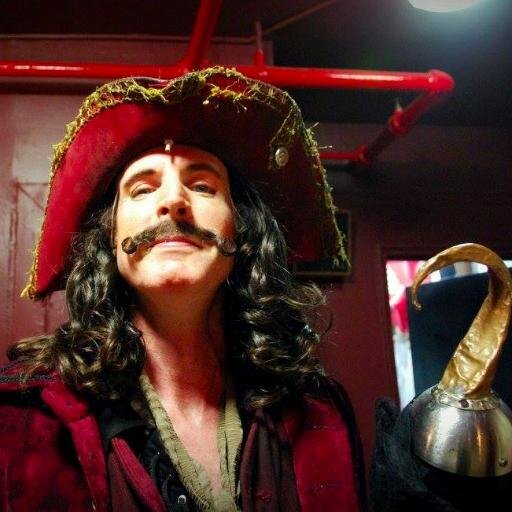 On June 7th of 2016, Paul assumed the roles of Charles Frohman and Captain Hook in Finding Neverland on Broadway, and continued in the roles through the end of the Broadway run. Paul was with the production since its April, 2015 opening, originating the role of Mr. Henshaw. The casting news was announced by both Broadway.com and Playbill. 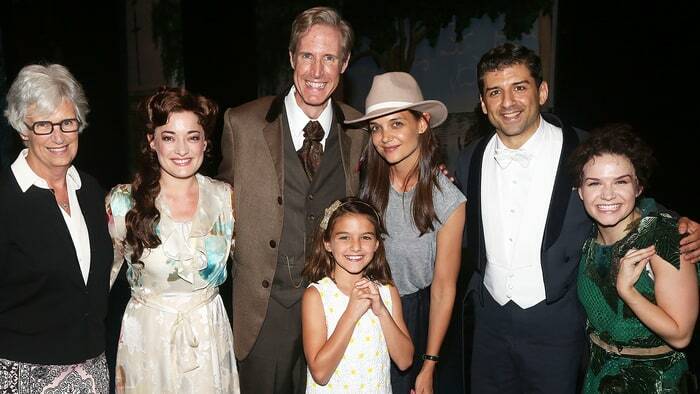 Katie Holmes and Suri Cruise visited backstage at "Finding Neverland" in 2016, and very graciously posed for this photo, which has since appeared on a gazillion websites around the globe. It is now - and forever - possible to Google "Katie Holmes Paul Slade Smith" and get 1.300,000 results.